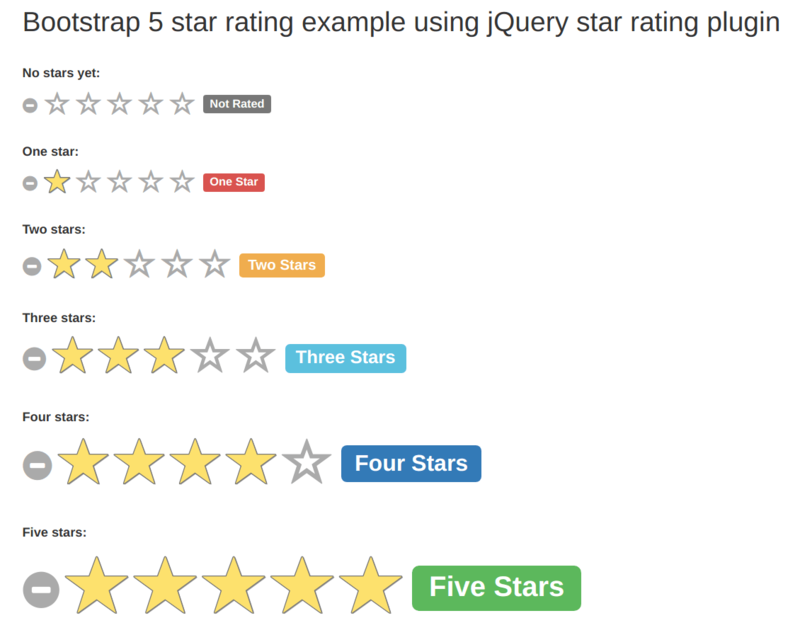 In this Bootstrap Tutorial, I am going to tell you how to add a star rating widget with the help of jQuery star rating plugin. Using this bootstrap star rating plugin, you do not need to learn anything about its configuration. You will need to include the library (Latest jQuery) only in website and add a class for star rating to an input field [input class="rating"] . You can customize the size of stars using Bootstrap class : xl, lg, md, sm, and xs. You can add read only attribute to input field to show stars with its rating only and will not change on mouse over. It's very easy to implement jQuery star rating plugin that automatically converts number input field to star rating widget.